Once in a lifetime experience! Discover Scuba Diving under one of the world’s best ocean. Okinawa has one of world’s best ocean. Many fishes, sea turtles, and corals live in this beautiful under water world. So let’s visit this under water world! How? Scuba Diving is the sports to do. Before you do the actual scuba diving, you have to take a short 2 to 3 days course, and obtain a certificate called “C-card”. It takes a little time and some money to do this sport. 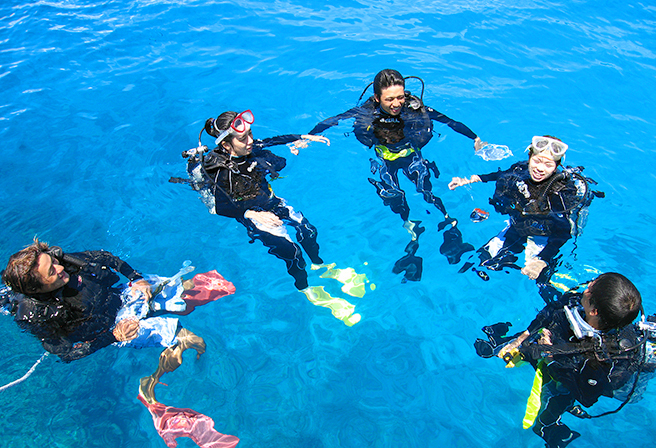 However, you can actually dive without taking any course or obtaining a C-card, and that’s the program of “Discover Scuba Diving”. 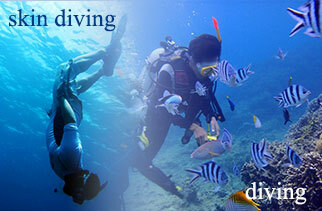 The diving Instructor will take you hand in hand in the ocean, so everything is safe and under control. 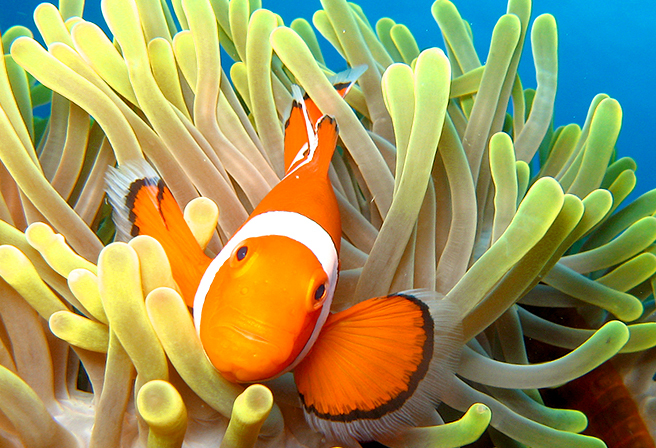 The famous Clown Fish became popular after the movie “Finding Nemo”. The sea anemone is its house, and the clown fish usually hides behind the anemone’s tentacles. 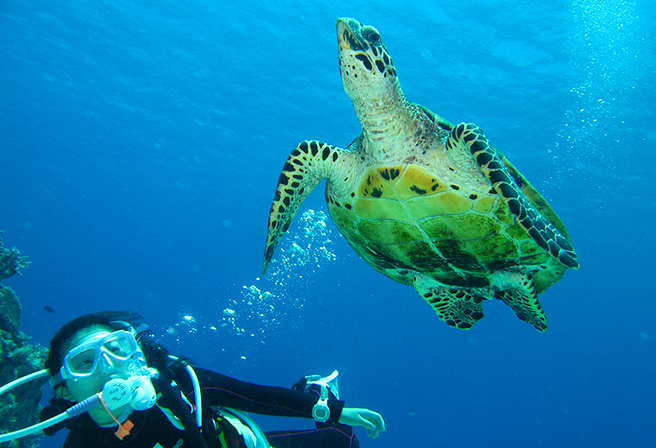 If you’re lucky enough, you might be able to swim with the sea turtle. You’re visiting a place known for the beautiful ocean. 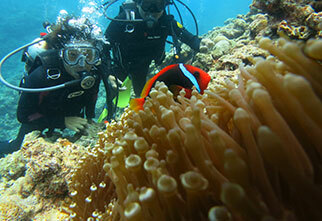 Why not give it a try for the Discover Scuba Diving? This is a perfect way to explore below the surface of the waters of Okinawa for those who are not comfortable with scuba diving. 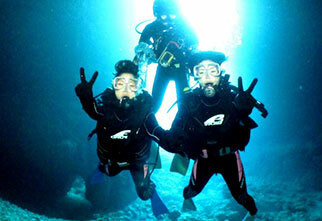 Price: Recreational Diving: ¥13,610 Skin Diving: ¥7,560 *tax included.